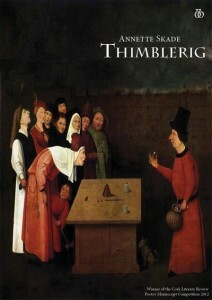 Annette Skade’s first poetry collection Thimblerig will be launched as part of the West Cork Literary Festival 2013 in Bantry. 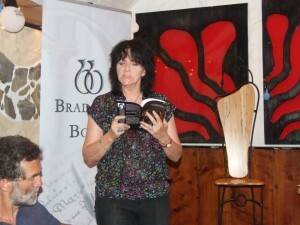 The collection recently won the Cork Literary Review Manuscript Competition, and – as part of the prize – has since been published by Cork’s Bradshaw Books. Acclaimed poet Ruth Padel will introduce the collection before a reading from Thimblerig in Ma Murphy’s on Sat 13th July at 4pm. 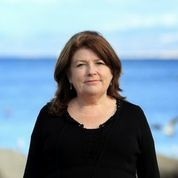 Annette Skade is an award-winning poet, and teacher, living and writing on the Beara peninsula on Ireland's south-west coast. 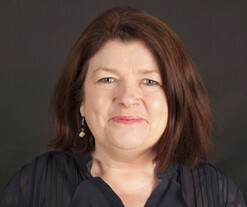 In July 2013 she launched her inaugural poetry collection Thimblerig at the West Cork Literary Festival and is now working on poems for a second book.